"Quality Education Determines a Country's Innovative Capacity to Help it Move Forward"
If you want to have a bigger voice in the national discourse on education, a master's degree in Education is one way to empower yourself. This was one of the messages at Wittenborg’s recently held Symposium on its new MA in Education. The event featured an impressive list of speakers from both the UK and the Netherlands who are all experts in the area of higher education. 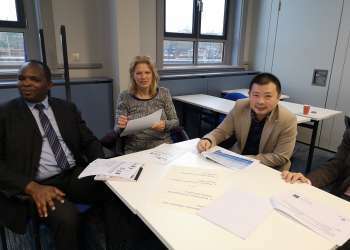 It is estimated that the Netherlands will have a shortage of 3,000 – 5,000 teachers and other educational professionals per year from 2019 – 2022, according to Wittenborg’s Vice President: Academic Affairs, Prof. Ron Tuninga, who was the keynote speaker at the event. The symposium served as a prelude to the start of Wittenborg’s MA in Education in October 2019, which will be its first non-business related programme. It will be offered jointly by Wittenborg and the University of Brighton in the UK. 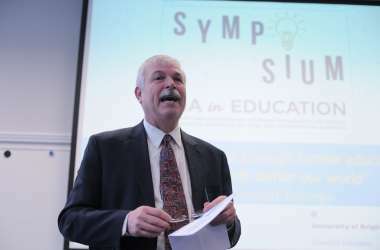 The School of Education will be headed by senior lecturer Bert Meeuwsen, who hosted the event on Thursday. 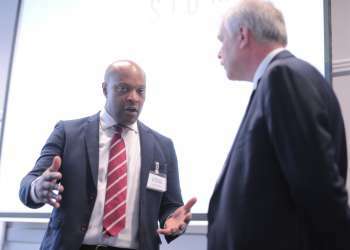 Dr Marlon Moncrieffe, a prominent academic from the UK who teaches Education Studies at Brighton’s School of Education, gripped attendees with the story of his own journey from being a primary school teacher to eventually attaining his PhD at the University of Reading. His lecture focused on cross-cultural education and critical perspectives. The lectures were followed by a workshop by Dr Soo Sturrock and Dr Alison Barnes from Brighton who both gave a colourful and passionate insight into the structure of the MA in Education. 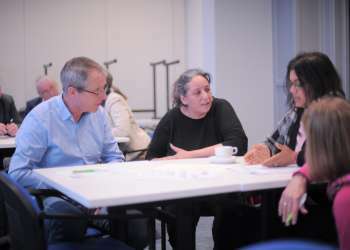 The workshop was entitled: "Research-literate practitioners: The place of MA in Education in continuing professional development". The symposium was opened by Wittenborg’s chair of the executive board, Peter Birdsall, who welcomed attendees and said Wittenborg and Brighton have had a strategic partnership for about 10 years. Currently, about 160 Wittenborg students follow programmes jointly offered by the two institutions.